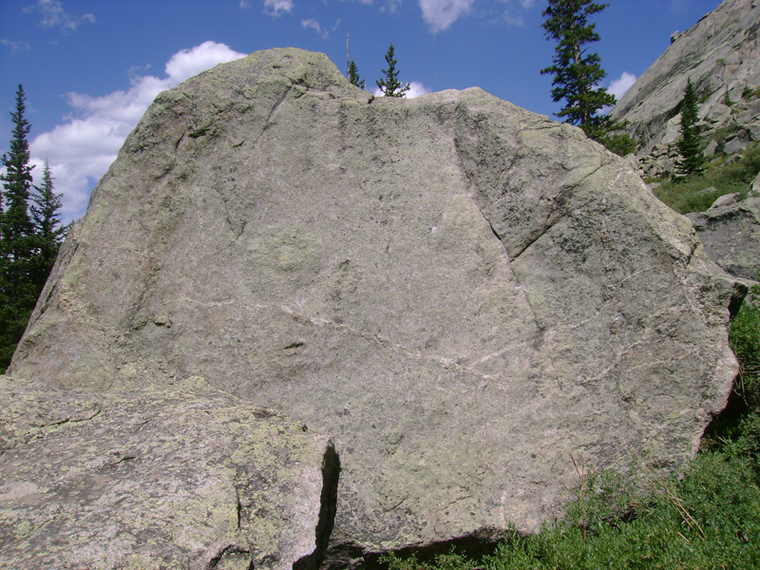 "A 3 mile hike yields high quality rock with good landings." There are 2 routes that have not yet been drawn on a topo image. 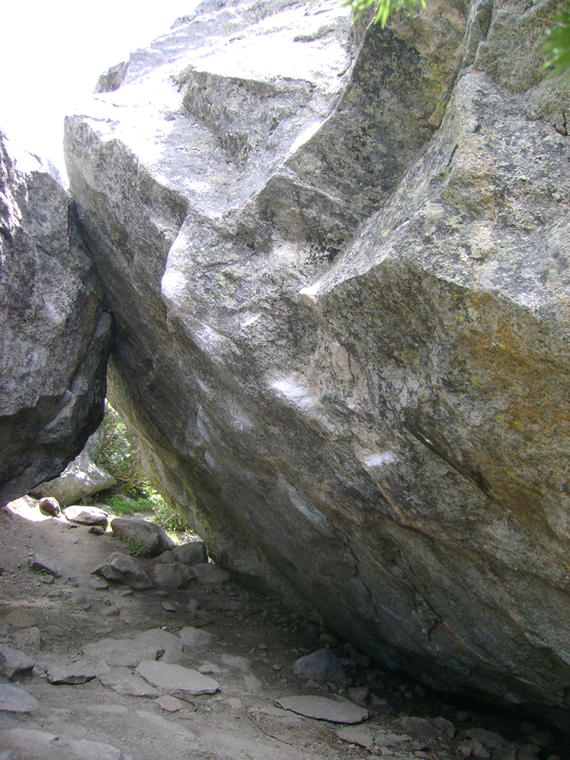 See full list of routes from Bierstadt Boulder .